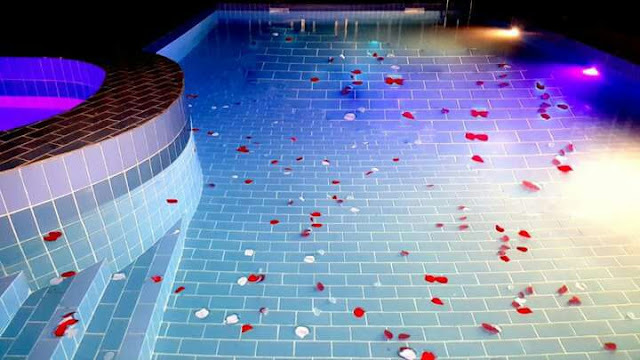 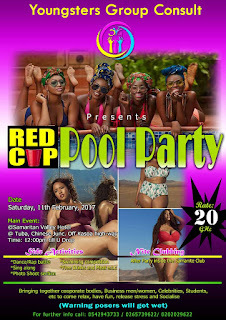 Inside Samaritan Valley Hotel tonight is the Red Cup Pool Party which will be adorned by a mix audience of celebrities, media personalities, business magnates, corporate bodies, students and people of all walks of life. 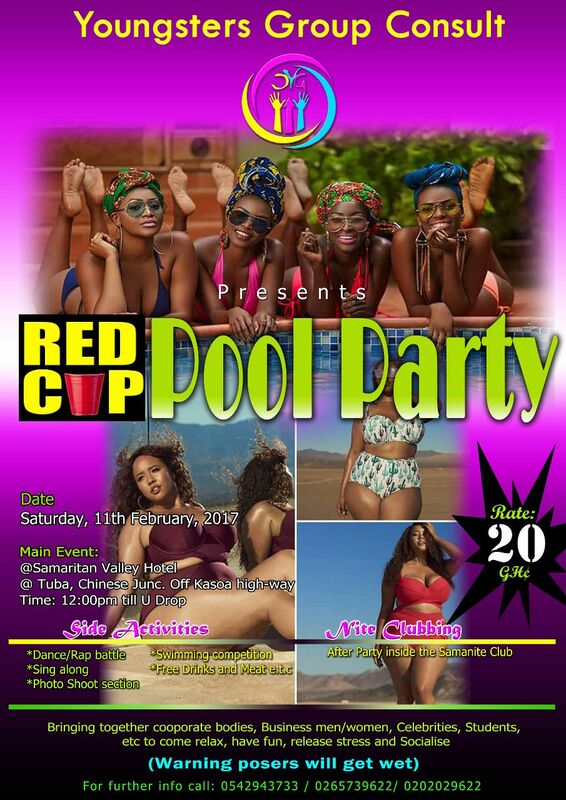 Red Cup Pool Party is a real party jam affair, but yet it brings to its audience live performances from a special set of very fine artistes and the artiste line-up is of multiple genres, as Youngster Group Consult aimed to stay inclusive. 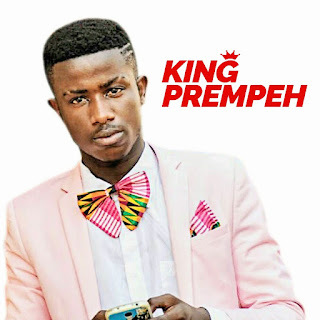 King Prempeh, a budding artiste you will be amazed watching on stage has been officially confirmed to come take a set and thrill the audience with his contagious music. 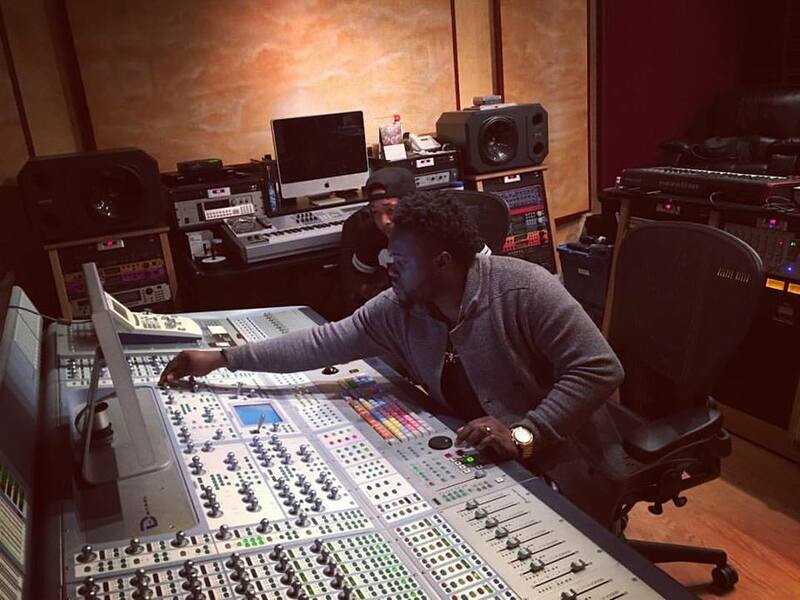 Prempeh is a multi-genre performer, he does afropop, dancehall and other beautiful genres as well. 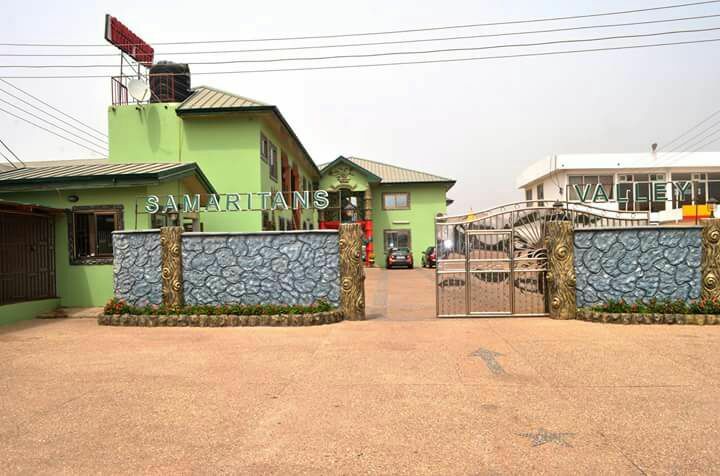 Locate Samaritan Valley Hotel around Tuba --- a few minute drive after the Kasoa toll booth, when coming from Accra.